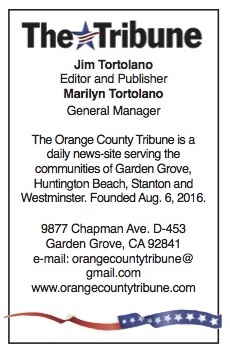 THE Orange County Transportation Authority on March 26 selected the OC Streetcar vehicles. This artist rendering shows the concept for the vehicles, though the exact design and branding of the streetcars will be determined later this year. The eight vehicles will run make up Orange County’s first modern electric streetcar system, to run through Santa Ana and Garden Grove (OCTA photo). Plans for Orange County’s first modern streetcar rolled forward when the Orange County Transportation Authority board of directors on Monday approved the purchase of the streetcars that will carry passengers on the route through Santa Ana and Garden Grove. The contract with Siemens Industries, in the amount of up to $51.5 million, will provide eight streetcar vehicles and spare parts and tools. The OC Streetcar route will have six vehicles in operation and two spare cars that can be rotated into the system as needed. The contract for the streetcars comes with the option to purchase up to 10 additional streetcars at a later date, if necessary. As part of the deal, Siemens will provide systems support and training to operators and maintenance technicians once the vehicles are delivered. The OC Streetcar project is estimated to cost $299 million, with funding coming from Measure M, Orange County’s half-cent sales tax for transportation improvements, and a mix of state and federal funding. The OC Streetcar will operate from the busy Santa Ana Regional Transportation Center, along Santa Ana Boulevard and Fourth Street and along the Pacific Electric right-of-way to Harbor Boulevard in Garden Grove. The route will serve Santa Ana’s thriving downtown and dense employment areas that include county and local government offices and courthouses in the Civic Center. The OC Streetcar route will also connect with many of OCTA’s busiest bus routes and Metrolink commuter rail. It is expected to carry more than 7,300 passengers per day within its first year of operation. The vehicles are 88 feet long and have 70 seats, carrying up to 180 passengers at a time. The streetcars will have doors on each side, operator cabs in the front and back, and level boarding – meaning no steps are required to enter or exit the streetcar. 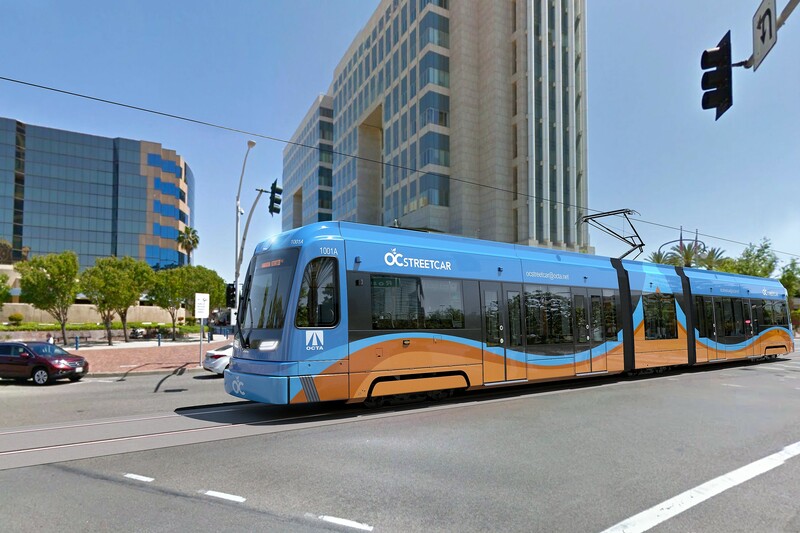 This summer, the OCTA board will review branding of the OC Streetcar, which is expected to be similar to the blue, orange and white branding of the OC Bus system. Construction on the OC Streetcar is set to begin later this year with testing and operations beginning in late 2020.